Shimla: Owing to heavy snowfall, all the educational institutions in Kinnaur district of Himachal Pradesh are scheduled to remain shut for two days on February 27 and 28, said news agency ANI due to heavy snowfall in Shimla and the surrounding areas of Kufri, Narkanda and Khara Pathar. “Shimla and its nearby areas have been experiencing snowfall since Tuesday night,” a Met official here told IANS. The Met forecast more snow and rain in the state till Thursday. Thereafter the road links to the upper regions in Shimla were cut off in the tourist resort town of Kufri. The district administration in Shimla engaged in road-clearing activity with the help of machinery. Shimla, which witnessed a low of minus 1.4 degrees Celsius, recorded over 4 cm of snow, while Kufri and Mashobra recorded over 10 cm each. 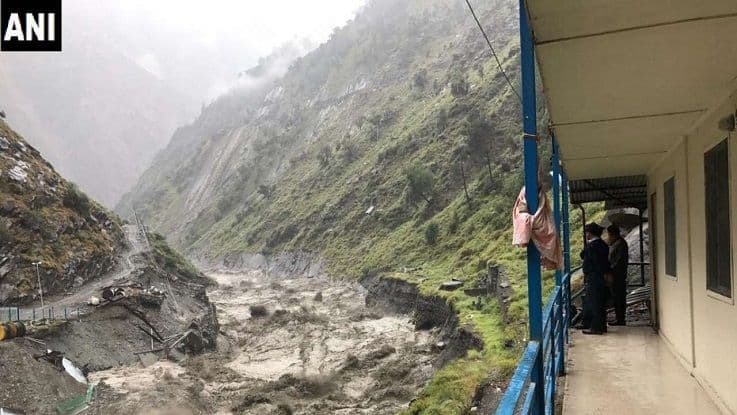 Meanwhile, the India Meteorological Department (IMD) had forecast thunderstorm accompanied with hailstorm, gusty winds and lightning at isolated places over Himachal Pradesh, Uttarakhand, Haryana, Chandigarh, Delhi, Uttar Pradesh and sub-Himalayan West Bengal and Sikkim for Wednesday. The Met department added that a western disturbance which originated from the Mediterranean-Caspian Sea region was moving across the Afghanistan-Pakistan region. The storm like situation would bring in more snowfall and rain in the region on Wednesday, stated the weather department officials. “High-altitude areas of Lahaul-Spiti, Chamba, Kullu, Kinnaur and Shimla districts have been experiencing moderate to heavy snow,” said the official. Lower areas including Dharamsala, Palampur, Solan, Nahan, Bilaspur, Una, Hamirpur and Mandi towns received moderate rain, bringing down the temperature considerably. Manali, which saw 3 cm snow, experienced a low of minus 1 degree Celsius. Kalpa, 250 km from the state capital, and Keylong in Lahaul and Spiti district also experienced snow. These towns witnessed a fall in the night temperature at 6 degrees and 11 degrees Celsius below the freezing point respectively.